Your glasses are more than just a way to see better — they’re also an expression of your style and personality. At Ironwood Eye Care in Scottsdale, Arizona, you can choose from a huge range of high-quality designer frames and state-of-the-art lenses. Use the online appointment maker or call the office to schedule your glasses consultation today. Do I really need prescription eyeglasses? You might wonder whether you can buy over-the-counter reading glasses and make do with those instead of prescription glasses. The answer is usually no. Over-the-counter glasses have a very low amount of vision correction, and they're really only right for someone who has good vision but needs a very minimal amount of vision correction for occasional reading. Prescription eyeglasses are custom-made for your specific eye problems and eye measurements. For example, you may need bifocals or a different prescription in your left and right eyes, and only custom eyeglasses can do that. What are some of the best eyeglass lens options today? There is a wide range of eyeglass lens options today. You can choose lightweight plastic lenses, ultra-thin lenses, super tough polycarbonate lenses, and more. You can also get special lens treatments, including no-glare coating, anti-scratch coating, and UV protection to increase your comfort and improve your ease of use.  Ironwood Eye Care uses only the most advanced high-quality lens treatments, and this prevents problems like crackling, smudging, and clouding. What eyeglasses brands are available? No matter what your style or preference is, you can find all the latest options at Ironwood Eye Care. How often do I need to update my eyeglasses prescription? Your Ironwood Eye Care optometrist recommends an exam schedule for you, based on your age, health, and other factors. Generally, adults need to have a comprehensive eye exam every two to five years, but some patients need yearly exams. Based on your exam results, you may need new eyeglasses or you may simply want to update the frames if your prescription hasn't changed. Book your eyeglasses exam at Ironwood Eye Care by phone or through the online appointment maker today. Please click here to read more about glasses!